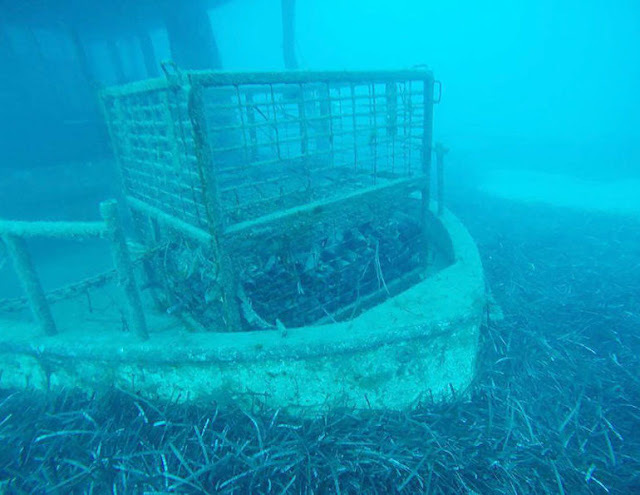 280 Bottles of Local Cyprus Wine was sunk to the bottom of the sea near paphos in 2015. These bottles will be lifted from the seabed on Sunday 7th May 2017 as part of the #Pafos2017 City of Culture celebrations. The bottles were placed in a box and sunk in November 2015. “The bottles will be opened by a Sommelier to see if they are drinkable and if they are, the public will get a chance to try them,” a spokesman for Pafos2017 told the Cyprus Mail. She pointed out that even if the wine is spoiled, there will be other local wine available to try at the event which will be held at Paphos harbour from 11am on Sunday. Members of the public will also be given the opportunity to board the Jolly Roger II and participate in the trip to Geroskipou to retrieve the wines and witness the entire wine lifting process first hand. The boat will then sail back to Paphos harbour, she said. KEO, Vassilikon, Zambartas, Tsaggarides, Kolios, Ezousa, Kamantarena and Shoufas. The cultural capital project is a collaboration of the Sommeliers Association, the Dive Centre Association and Cypriot Wine Producers. Wine event- Paphos harbour, Kato Paphos, Sunday May 7th, 11am – 12 noon. We are a family business specialising in hand picked Owners Direct Luxury & Elite Holiday Villas in Cyprus. We have over 100 Villas & Apartments for Rent. All rights reserved | Copyright 2014 © Simila-Cyprus. Simple theme. Powered by Blogger.